博彩公司 www.kilc.com.cn A Silk Road international alliance of art museums was established in Beijing Tuesday. The opening ceremony took place on the same day at the Beijing-based National Art Museum of China (NAMOC), attended by guests from national art museums and major art institutions of 18 countries and regions along the Silk Road, including Greece, Hungary, Russia, Ukraine and Vietnam. "Different countries can improve their mutual understanding, friendship and win-win cooperation through the donation, collection and exhibition of unique art works," said Wu Weishan, curator of the NAMOC. The museum also held both a forum and a conference of the multi-cultural alliance on Tuesday. The alliance has also opened an art exhibition featuring 17 art works from 14 countries along the Silk Road. 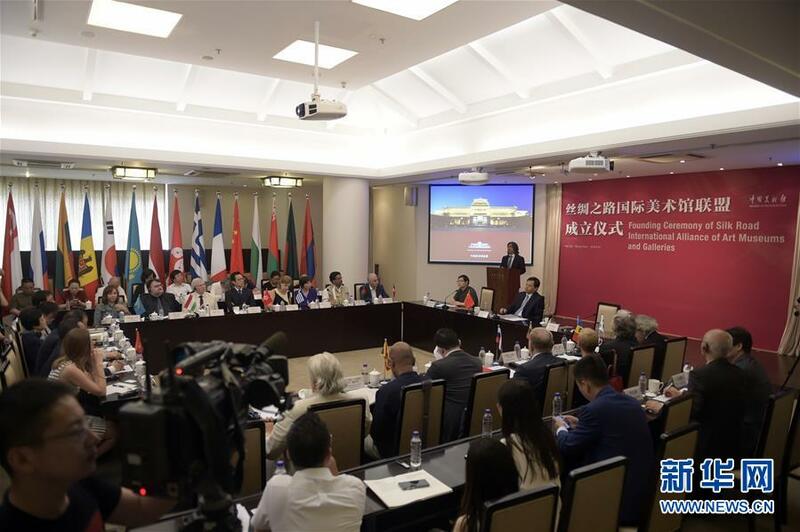 A Silk Road international alliance of art museums was established in Beijing Tuesday.